A cold winter with average rainfall, followed by cool and rainy April and May. The vegetative activities took place within the seasonal norm, with the young vines showing considerable vigour. Veraison took place in mid-July, during what was a fairly average summer. The harvest went ahead according to schedule. The hot but not excessively dry summer allowed the grapes to ripen perfectly, preventing the formation of vegetal scents. The Petit Verdot, in particular, has already matured considerable aromatic complexity, with olfactory notes spanning from plum to cocoa and Indian ink. 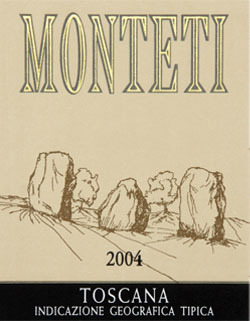 Good acidity and a light savouriness liven up the outstanding smoothness of the tannins. VARIETIES: Petit Verdot 40%, Cabernet Sauvignon 40%, Cabernet Franc 15%, Alicante Bouschet and Merlot 5%.